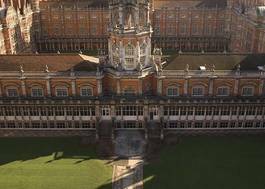 Study History, Politics and International Relations at Royal Holloway, University of London - Which? Where an applicant is taking the EPQ alongside A-levels, the EPQ will be taken into consideration and result in lower A-level grades being required. Socio-economic factors which may have impacted an applicant’s education will be taken into consideration and alternative offers may be made to these applicants. BTEC must be in a related subject. Politics and International Relations looks at political ideas and processes, as well as global issues such as war and security, diplomacy and development. 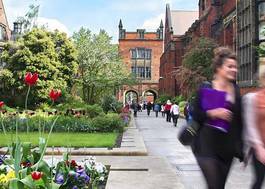 You will gain a solid foundation in politics, the history of international relations and IR theory, studying subjects such as democracy, decolonisation, democratisation, international organisations, foreign-policy making, human migration and human rights. As you progress, the flexible nature of the course allows you to specialise in those aspects of domestic politics, political theory and international relations that most interest you, for example, the recent global economic crisis, changes in the European Union, human migration and the threats posed by terrorists and new communications technologies.